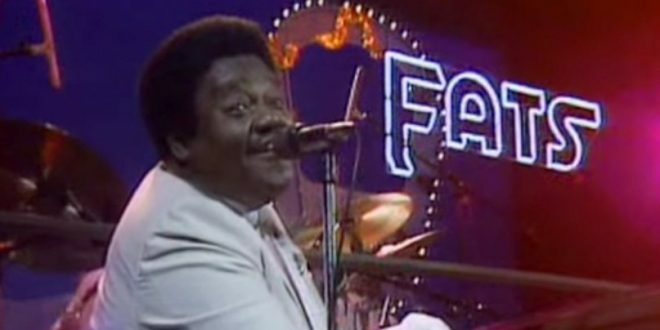 Rock Legend Fats Domino Dies At Age 89 - Joe.My.God. Antoine “Fats” Domino, the jovial New Orleans entertainer whose bluesy singing and boogie-woogie piano style helped launch rock-and-roll in the 1950s with such rollicking songs as “Blueberry Hill,” “Ain’t That a Shame” and “I’m Walkin’,” died Oct. 24. He was 89. Among the early rockers, Mr. Domino was rivaled only by Elvis Presley in record sales. He dominated Billboard magazine’s pop and rhythm-and-blues charts from 1955 to 1963.